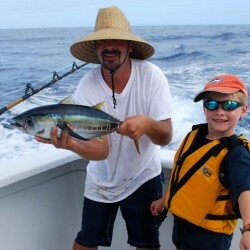 On a typical day abroad the “Go Get Em,” Captain Jim Wigzell will be looking for the baits fish either at buoys or ledges “Where there’s bait there’s predators” and given any opportunity “Go Get ‘Em” Sportfishing will always be right there ready to put a bait in the water. 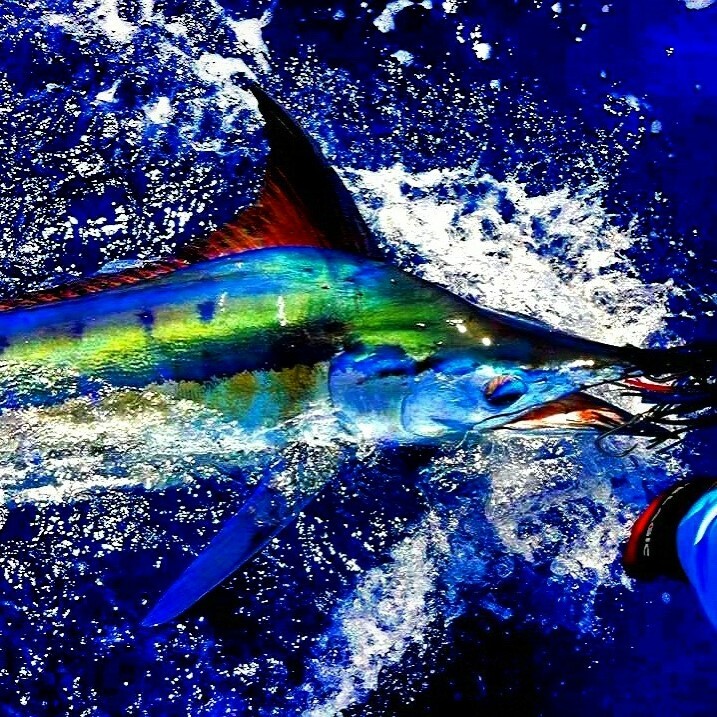 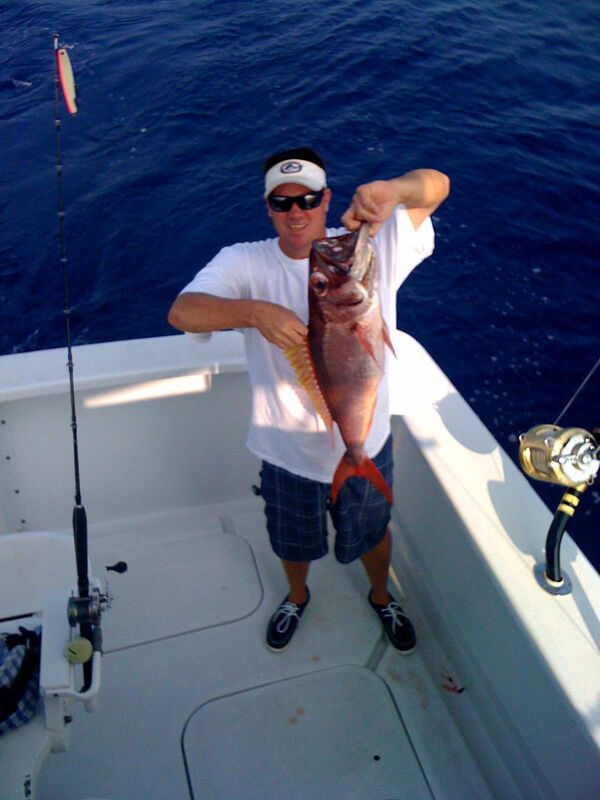 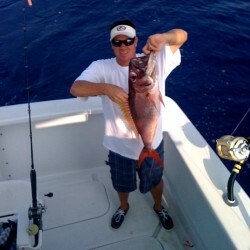 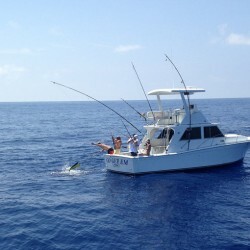 “Go Get ‘Em” Sportfishing offers the opportunity to breakout the “light tackle” to catch “football size” Tuna’s. 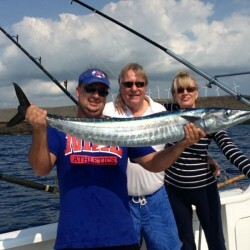 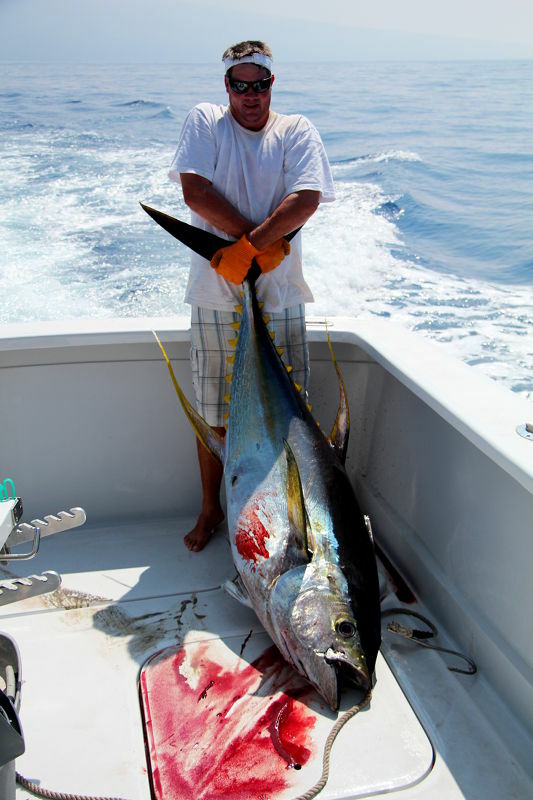 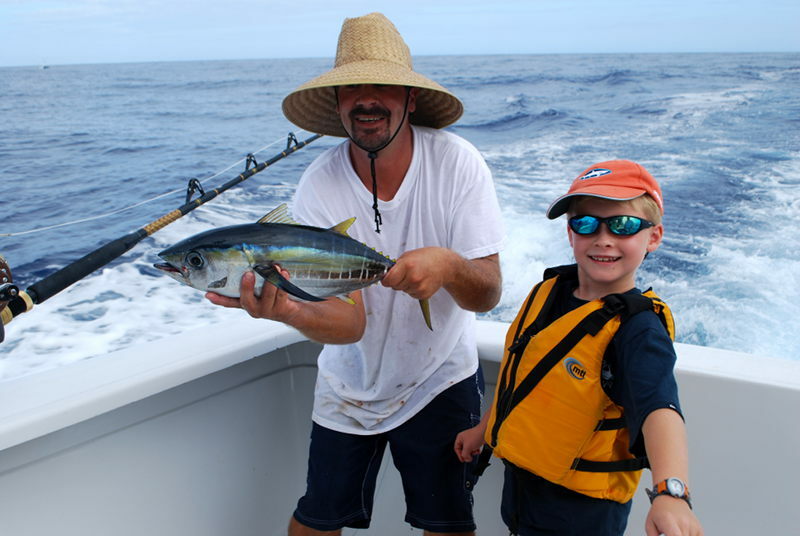 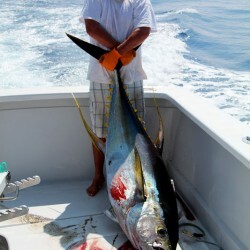 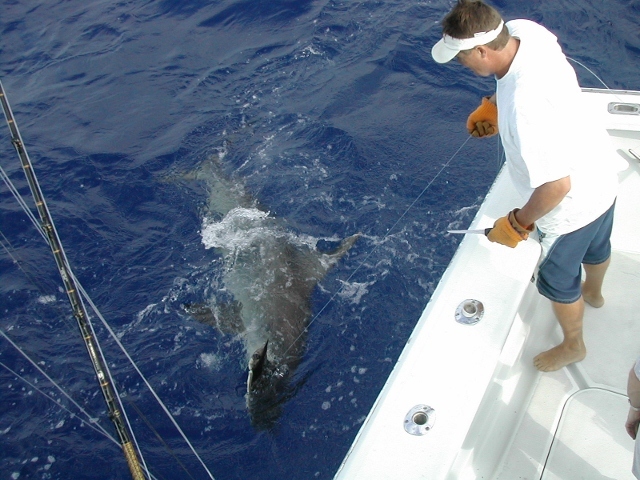 Catching these nice size Tuna’s are a lot of fun for kids and adults alike. 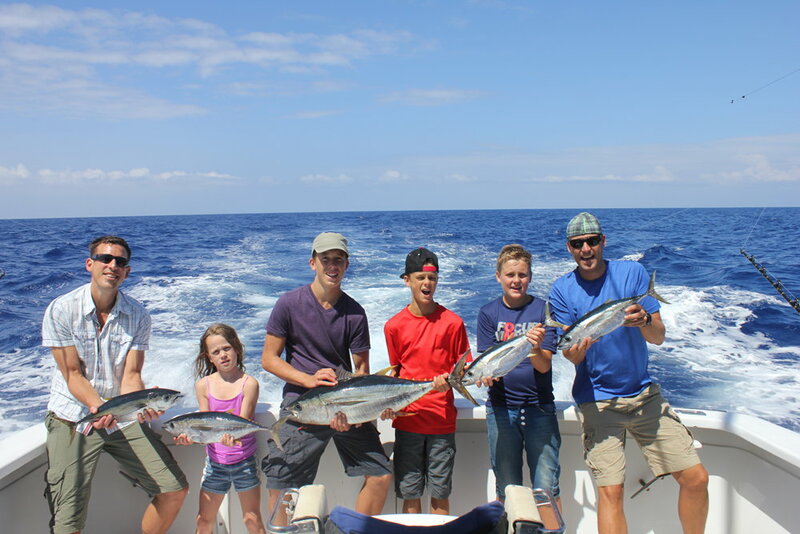 Any boat can troll around with lures out and yes eventually one will catch but, on “Go Get ‘Em” our Captain and Crew are constantly looking for bird piles, ledges and buoys to offer you the most action, excitement and bang for your buck! 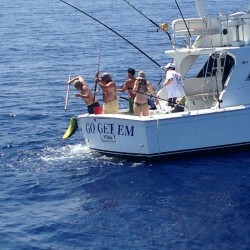 “Go Get ‘Em” is a 36′ Uniflite with two brand new Cummins Motors. 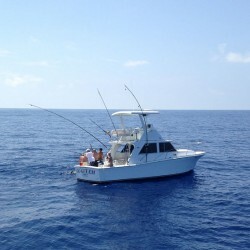 Equipped with Penn 80 and 130 reels and rods for trolling. 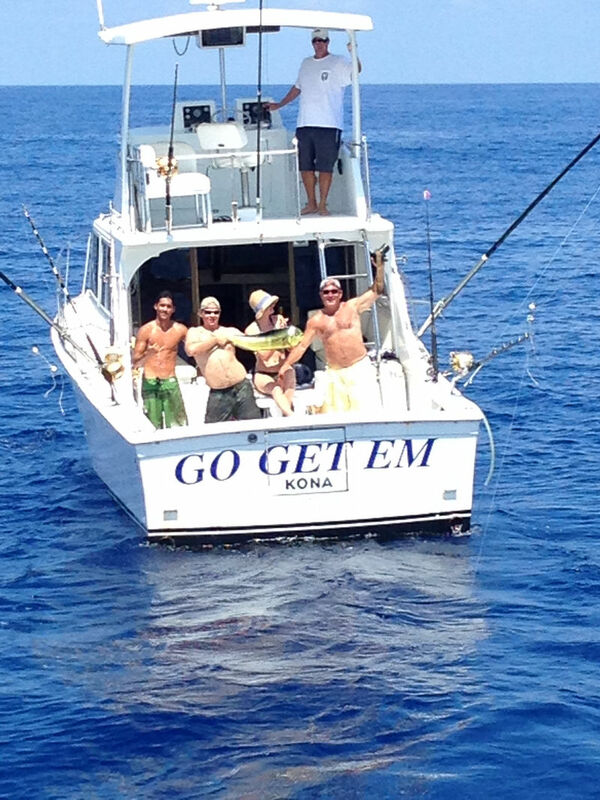 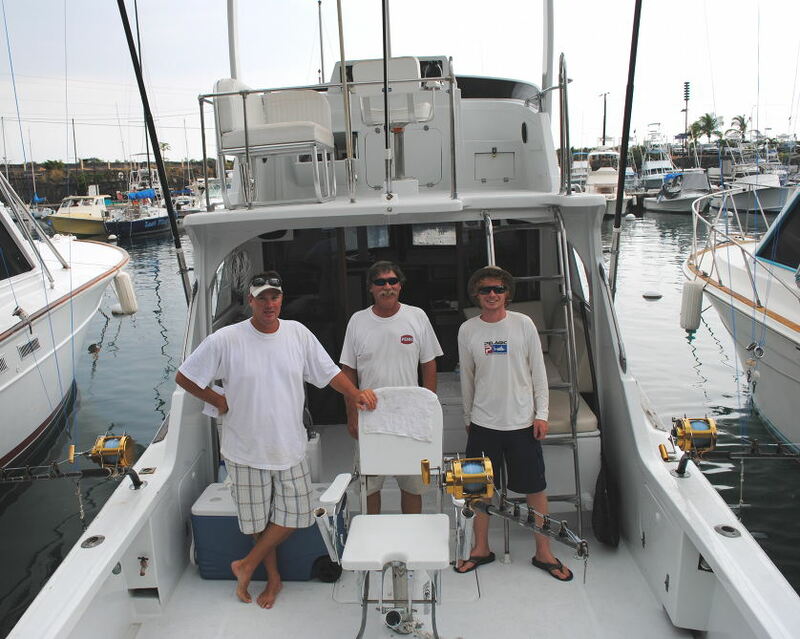 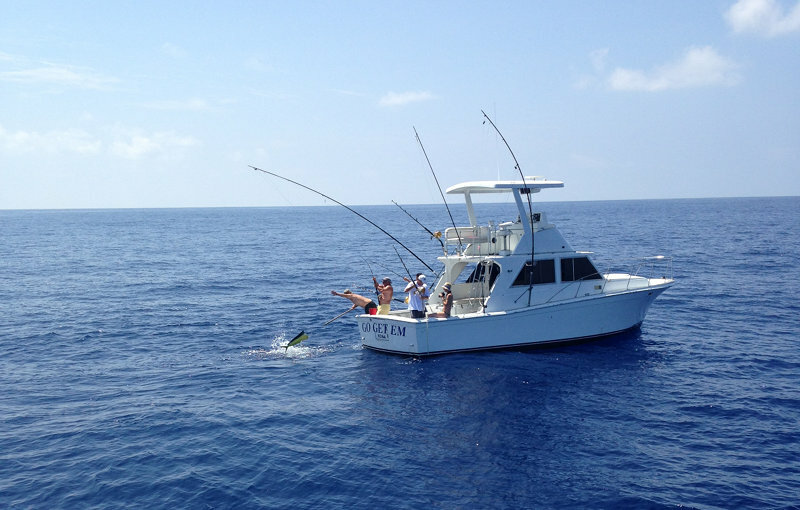 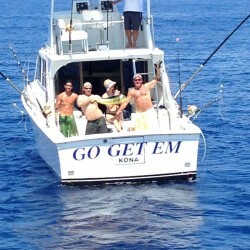 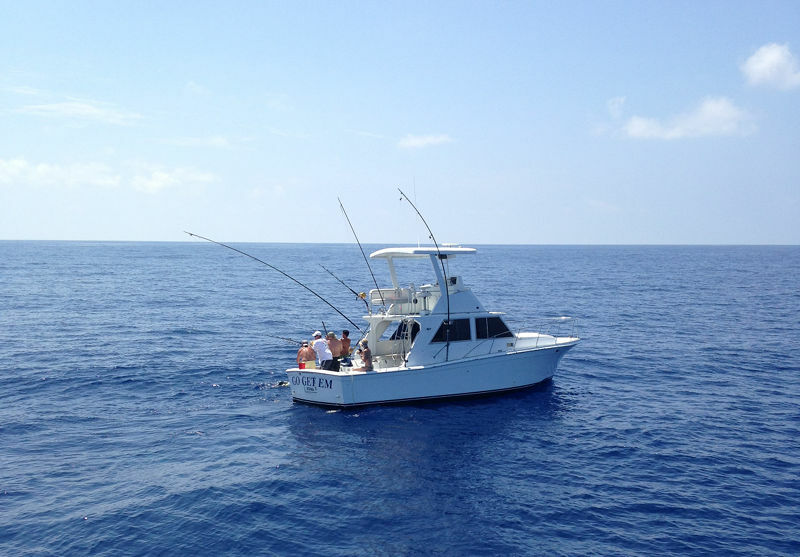 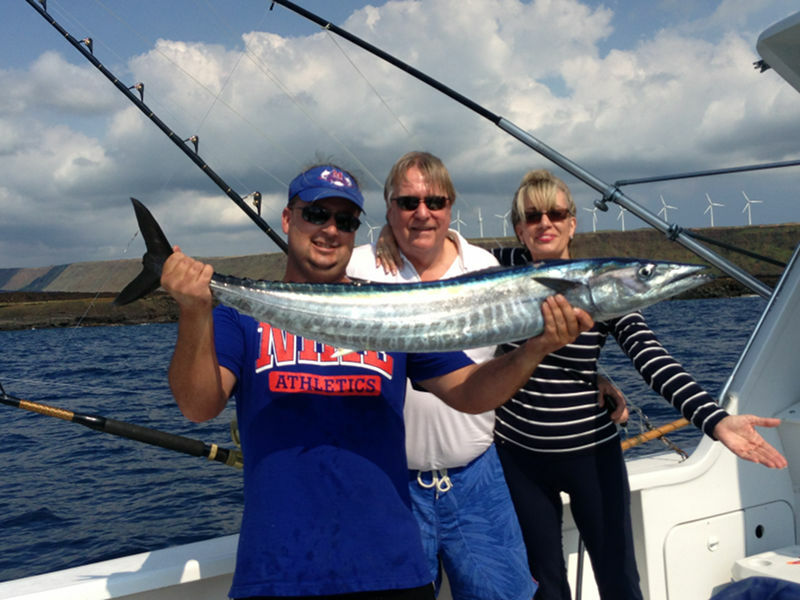 Kona provides us with excellent water conditions year round and is the perfect boat to fish on the Kona coast. 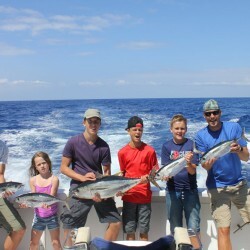 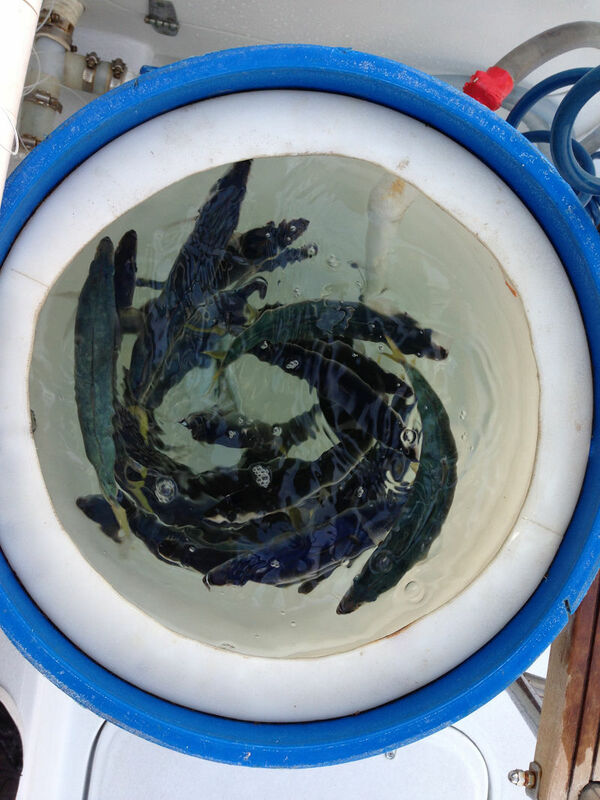 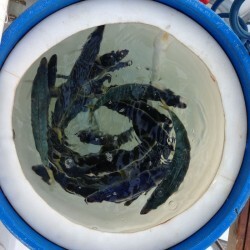 Our goal on the “Go Get ‘Em” is to accommodate you and or your family with a memorable aquatic adventure. 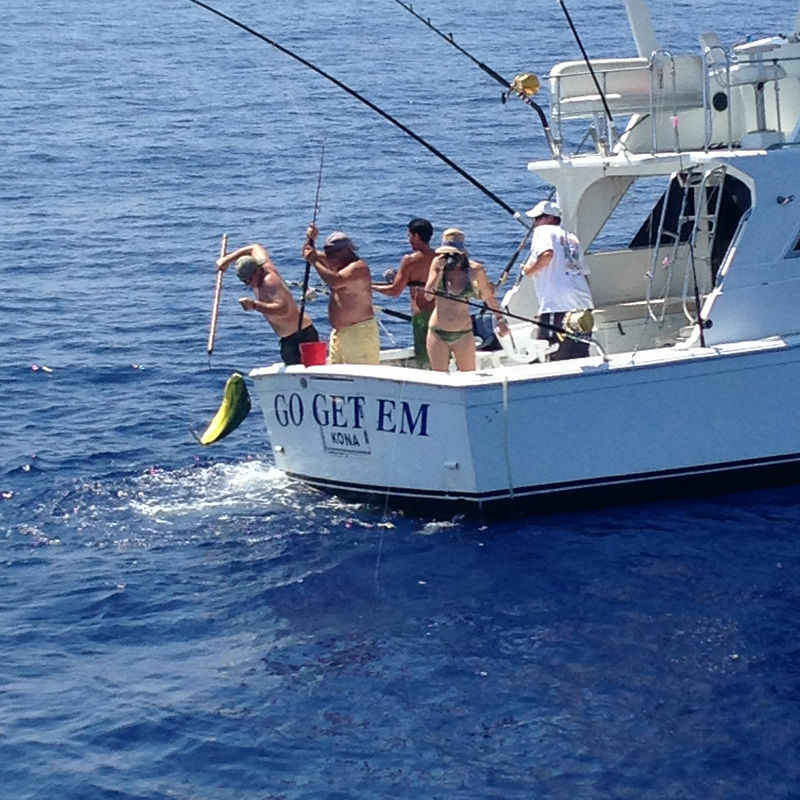 Four people are perfect for this size of boat. 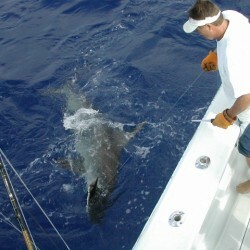 Jim offers a hands on charter experience. 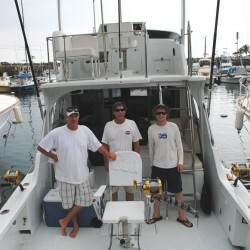 You have the option to help Jim set the gear up and be more involved in the charter instead of watching the deck hand do everything. 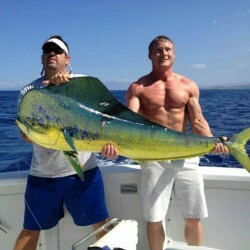 This means that he will leave the crew at home. 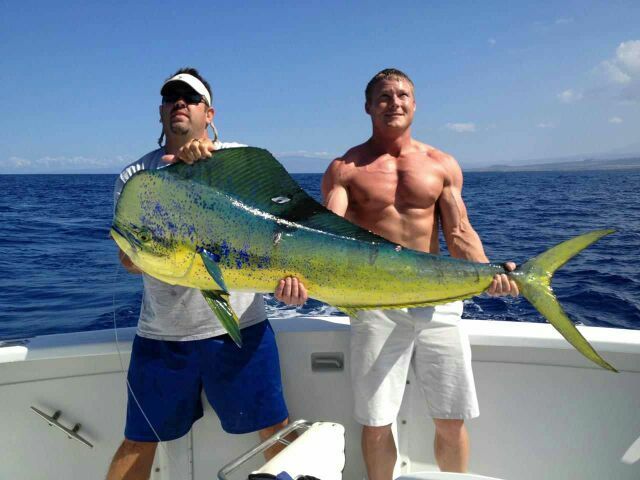 Its just an option, he will bring a crew if you want.